Regional Queensland’s supply chain management company, Northern Stevedoring Services (NSS) has today announced its acquisition of Wiltrade’s Townsville depot. The acquisition will allow NSS to further reinforce its position as a leading supply chain management company based in regional Queensland. 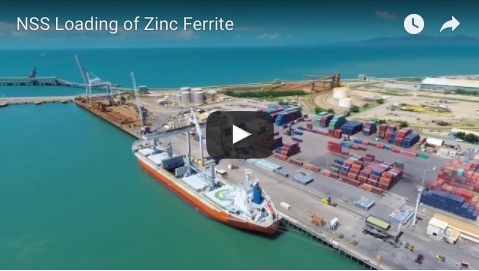 NSS’ investment in Townsville has been significant, and the acquisition of this strategic off port depot represents a huge expansion for the company’s logistics operations. The purchase includes the assignment of leases over strategic port depot land and the business that derives from this depot. The Wiltrade’s depot acquisition means NSS Port Logistics will now be in a position to supply a full range of logistical services to ocean going cargoes in Townsville. NSS Port Logistics has an existing 3,000 square metre undercover warehousing area, when combined with the new 40 year lease over 2 hectares of Nexus Park, will complete the company’s geographic footprint in Townsville. “With NSS Port Logistics working together with our Stevedoring and Equipment Hire operations, customers will be able to experience hassle free stevedoring and integrated supply chain solutions” explained Todd Emmert, NSS General Manager. As well as providing the base for a new transport and logistics service for both local and regional deliveries, the depot will also allow the company to deconsolidate current cargo at the port, providing room for additional growth. This will result in increased container packing and unpacking facilities, as well as warehousing and storage. For the customer this means a completely streamlined experience, with one point of contact and improved efficiencies in their logistics needs. Combining these options with a professional advisory service for importers and exporters into the region, the company are well placed to service The Port of Townsville’s growing needs well into the future. 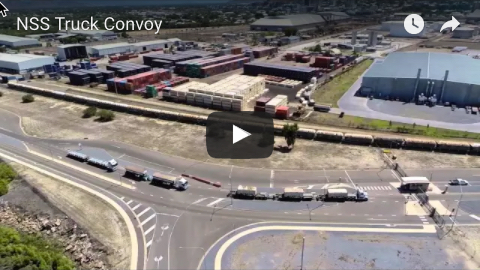 For further information on the Wiltrade’s Depot purchase, or to arrange an interview with Todd Emmert, please contact Dean Hegarty at Marketing Eye 03 9692 7600, dean@marketingeye.com.au.